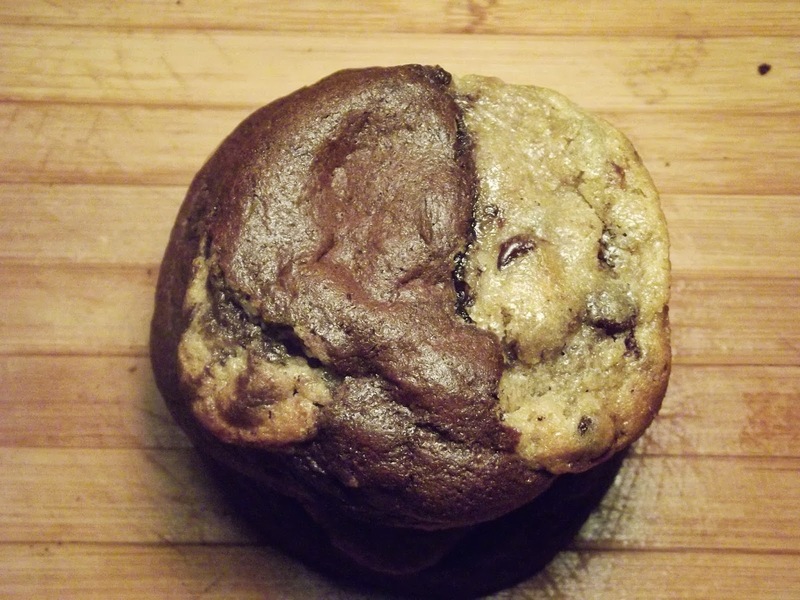 Cookie lovers you must try this recipe. 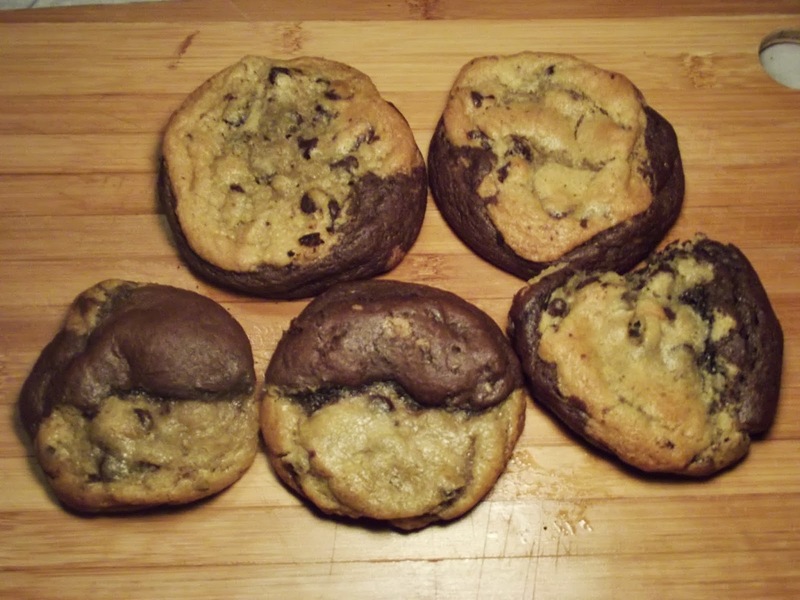 If you ever had a craving for a cookie, but could not decide on what kind you want. Hmm…. 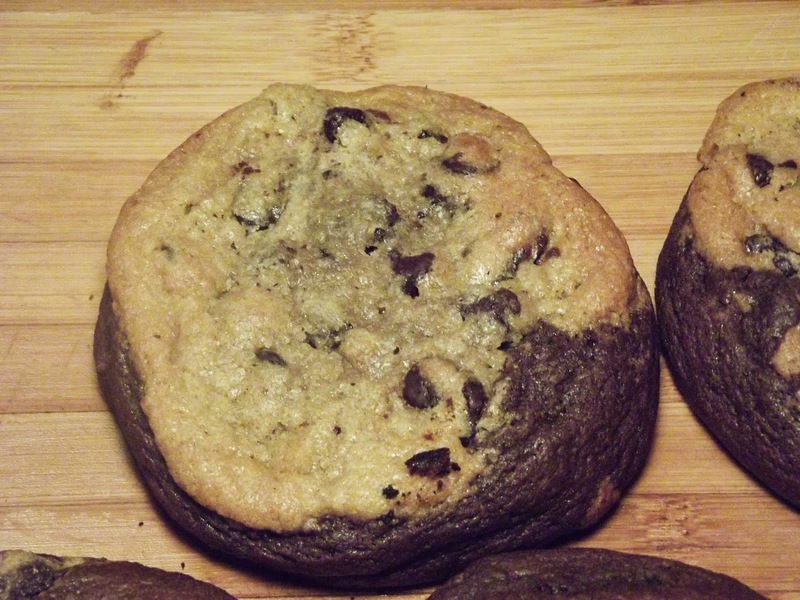 maybe something super chocolatey or just simple and delicious chocolate chip cookie. Why not put the two together? You’re kids will love making this recipe with you. Very easy to make. I like chilling my cookie dough it spread better when it bakes. Just take a spoonful of each cookie dough and and form into a ball , one side of the ball chocolate dough, the side chocolate chip dough. 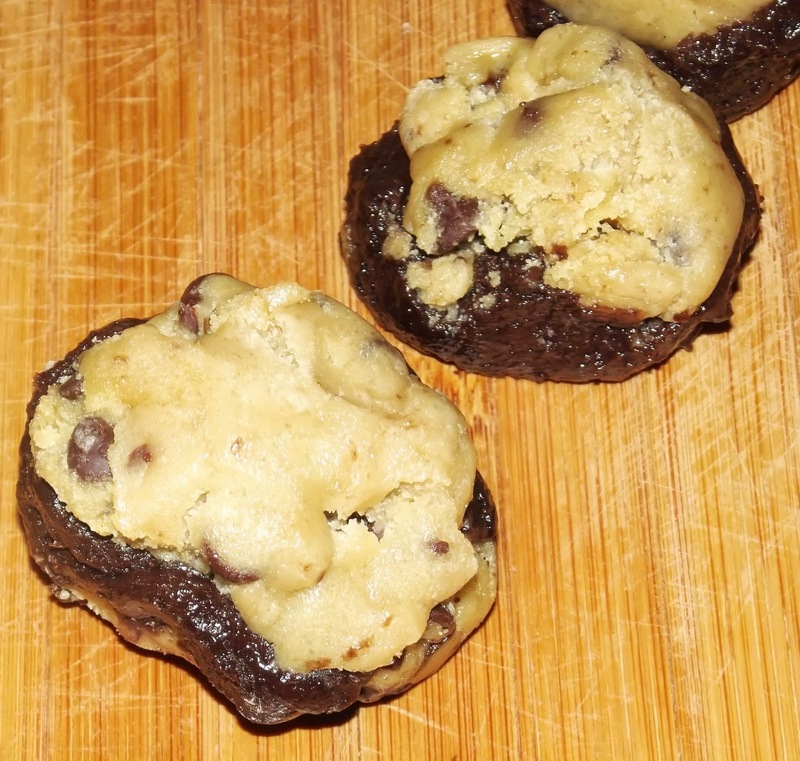 Pop the combo on the cookie sheet and bake 10-12 mins. It’s cookie friday have a great weekend ! 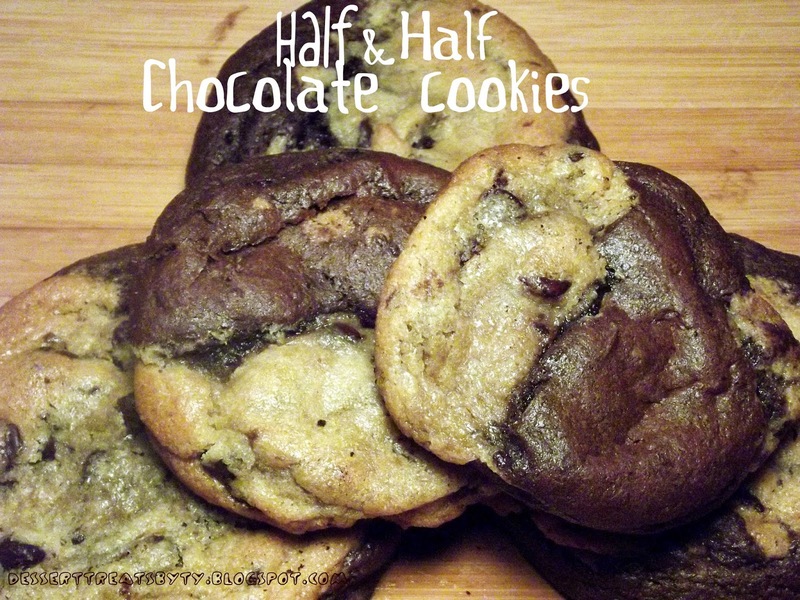 Take a spoonful of each dough and form a half & half ball. And this is the sweet results. Put one dough on top of each other. Either way it’s fun and delicious ! 2.You will need two large bowls. Chocolate cookie dough: In one bowl, beat butter, white sugar and brown sugar with mixer. Beat 1 egg at a time. Then add in vanilla.Combine flour, cocoa , baking soda, and salt in a bowl. Stir flour mixture into butter mixture until just incorporated. 3. 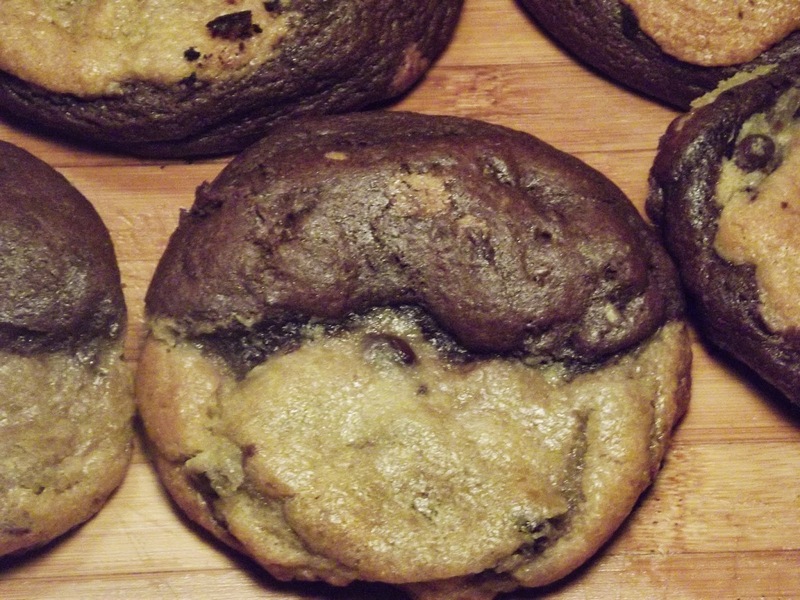 Repeat the same steps with the ingredients for chocolate chip cookie dough. 4.Then chill both cookie dough for an hour. 5. 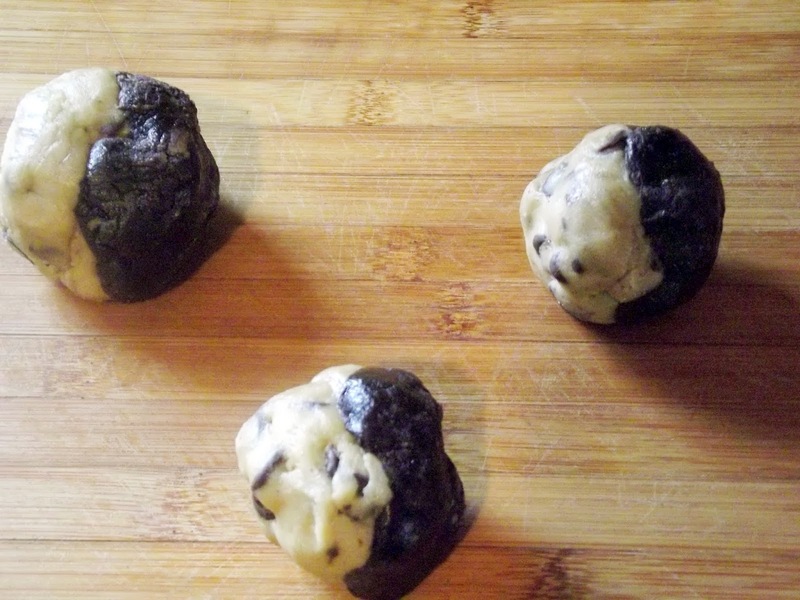 Take one spoonful of each dough and form a ball. Depending on size of cookie you want. Drop balls 2 inches apart on cookie sheet. 6.Bake for 10-12 mins or until lightly golden brown. Take out and cool.